Cultural competency training is critical for mental health professionals, especially those who are the treating physicians for African Americans. Research has shown that the absence of this area of training has been the cause for a plethora of misdiagnosis which has lead to years of long term health challenges for African Americans. Mental health professionals cannot dismiss the affects of slavery that remain vivid in the minds of millions Black people. There are generation of children studying the history of their ancestors who are also experiencing trauma as a result of knowing the truth about what the generations before them have gone through. This history of mistreatment of Black people has caused a domino effect, ultimately leading to high level mistrust and skepticism of White people who have given their opinion of a mental illness diagnosis and further prescribed medication for treatment. From Grandma’s hand to the song “We’ve Come This Far By Faith”, one very prevalent and consistent presence in the lives of Black people is church and faith. Whether it’s every Sunday, every now and then Sunday or once a year on Mother’s Day, many Black people find comfort and mindful healing under the covering of the church. To church attendees, these faith leaders are physicians who treat in a way that is trusted. While there are still churches who have a challenge embracing those who have visible mental health challenges, the accepting of those who have both visible and non-visible mental illness is far greater than those churches who still have a long way to go in understanding the importance of equity across the isles in every area of life. Is it possible that faith leaders can be the first line of care for Black people suffering from mental illness? If those who need treatment find more healing and comfort through their worship experience, then why not? This does not replace the need for licensed physician treatment, but the aforementioned cannot be glazed over, unrecognized or not addressed. A voluntary act, attending church service, is something that comes so very natural and the culminating feeling after the experience is often one of less stress, high hope and excitement. One of the exhilarating moments that happens during the one to two and every blue moon three to four hour church services, is in most Black congregations you will hear the faith leader says, "Touch your neighbor and tell them....". That single touch is sometimes the only touch a person receives during that entire week, and research has shown how the touch from another human being brings balance, clarity and a sense of acceptance to one who lacks that humanistic connection from family, friends or even strangers. This is always a mental healing moment during the church service for thousands of people. Socio-economic factors plays a large part in the mental health challenges for many African Americans. Growing up in neighborhoods where there are health inequities, high unemployment, limited access to grocery stores that have fresh fruit and vegetables, heavy crime and inadequate education, is a direct pipeline to illnesses such as stress, anxiety, drug addiction/abuse, depression and more. The Black church, in many cases, are intentionally planted in these communities to be a refuge to this population of marginalized voices. They are the olive branch that is often not extended by health institutions and government entities who have been funded to serve these communities. The Black church has the capacity to have their doors daily for mental healing, without the individual needing an appointment, insurance coverage, or pre-screening, pipelines that are often barriers to those in need receiving mental health services. From the Black Panthers, originators of the free breakfast program for children, to the churches’ year-round outreach feeding programs for individual and families that impact millions, Black people helping to heal Black people is a natural trajectory that requires no law enactment or medical prescription. "The church is a hospital for sick people who come every week for healing”, is a slogan very familiar to many and the church has operated in that capacity for thousands of years. A collaboration between faith leaders and mental health professionals can be the first step in bridging the gap to ensure there is an intentional effort to ensure Black and Brown people receive the much needed mental health services they need and deserve. It was a “Oh Happy Day” about to happen when I arrived at City Hall in San Francisco in great anticipation of the historic inauguration services of the first African American woman to be elected as Mayor of San Francisco - LONDON BREED. I had no idea that my arrival at 6:30 am, for a program that began at 11 am, would be noticed by the KRON4 news crew. I was asked to do a live interview about the inauguration that would air in 15 minutes. I was thrilled for the opportunity. I shared in the KRON 4 interview that as a native of San Francisco, growing up in the Bayview-Hunter’s Point neighborhood, I’ve watched London’s trajectory since she was around 19 years old, and given the journey this historic new chapter in her life was destined. It was a tremendous honor for me to start the day giving my thoughts and accolades to the first African American woman to be elected as Mayor of San Francisco. As a millennial thinker and 21st-century innovator, Breed understood the value of the arts and how it impacts the lives of inner-city children as she chose to lead the African American Art & Culture Complex as the Executive Director. The journey continued in 2012 when Breed was first elected to the Board of Supervisors and was re-elected in 2016. She was elected by supervisors in 2015 to serve as the board’s president. This next monumental step in leading one of the finest cities in the nation, San Francisco,the city is fortunate to have her leadership. There were 3,000 chairs set up in preparation of Breed’s swearing-in by Lt. Governor Gavin Newsom, and there was standing room only by the time the program began. In her inauguration speech, Breed, 43, vowed to stand by immigrants during this very stressful and uncertain time in their lives. She addressed the need to care for the mentally ill population, and she gave hope to the housing situation that the city has been facing for some time. I am very excited about Breed’s leadership and I was very happy to hear her intentional attention to the mental illness community. A much-forgotten population who need our attention and more importantly who deserved it. For those who have served our country in the military and now they face this illness, they have earned our help. London grew up in public housing in San Francisco and gives continued honor and respect to her grandmother who raised her. We know the challenges ahead for Breed are monumental, but when the people of San Francisco voted for her as their new leader, there was assurance that she could get the job done. San Francisco has embraced Breed’s innovative millennial thinking, and the supportive voters are standing by her side to help in any way they can. We will begin to see a city in action like no other, and it’s going to be leadership at its best by far. Breed is set to serve the remainder of former Mayor Ed Lee’s term, which ends in January 2020. On May 5th & 6th, 2018 at the Shrine Auditorium in Los Angeles, more than 5,000 women gathered for the 2nd Annual 2018 United State of Women Summit. The energy in the building was beyond excitement as GenXers to Baby Boomers and beyond, these ladies were 'lit' with anticipation of what was to come. The line-up of speakers were impeccable and included Forever First Lady Michelle Obama, Tracee Ellis Ross, Senator Kamala Harris, #MeToo Founder Tarana Burke, Olympic Medalist Ibtihaj Muhammad, Activist and Actor Yara Shahidi, Comedian/Inscure AMANDA SEALES and many many more. This is the first summit I've ever attended where I witnessed in true form a genuine love, passion, solidarity, interest and trust between women whose only agenda was to lift up the person to the right, left, in front or behind them. The conversations were not just in passing, but rather women took time to look one another in their eyes and listen, respond and celebrate. That's rare! In 2016, the feminist organization United State of Women staged its first summit in Washington, D.C. Held in partnership with the White House Council on Women and Girls and featuring Michelle Obama and Oprah Winfrey. Again at that time the summit brought together 5,000 women, girls and allies to discuss issues ranging from entrepreneurship to violence against women. This summit happens every other year and I can hardly wait for #USOW2020. Bozoma Saint John is one of the most sought after brand marketing influencers in the tech industry by far. From Apple to now Uber's Chief Brands Officer, when Saint John speaks people are definitely all ears. One will never miss Saint John's beauty and style because no matter where you see her, regardless of the occasion, she is giving a 'I'm in here' presence without words. Another profound moment during the interview was Saint John's around performance interviews - "I've never had a good review. There was always something negative on my reviews". What? For many it's assumed that given Saint John's remarkable career as a music industry influencer, she ranked very high when it came to job performance reviews, hence her high demand in the tech industry. Not the case at all. This is inspiring news for thriving and aspiring career enthusiasts, don't get hung up on thinking because you're doing a great job at your company, that when it's review time that you will see nothing but 'exceeding expectations' marks through and through. Let's just say, that if according to the powers that be you need improvement in some areas, embrace that opportunity to continue to refine your skills and talents. Let perfection be a journey, not a destination. When the Hiplet Ballerinas of Chicago, IL get the party started at a gala, you know you're in for an absolute treat. The MoAD Afropolitan 2017 Gala took place on October 28, 2017 at the Fairmont Hotel, San Francisco and it was outstanding as expected. 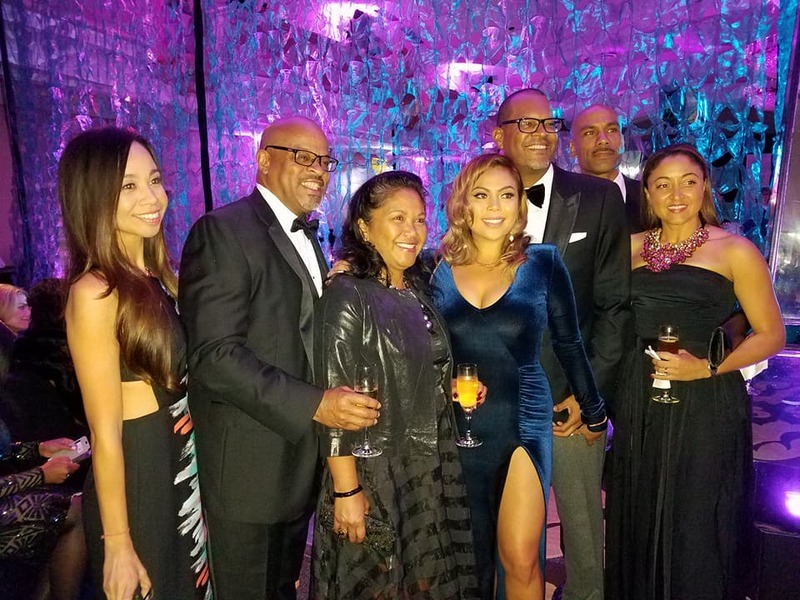 Hundreds attended and more than $1M was raised towards MoAD's goal of keeping Black Art & Culture in the City of San Francisco. It's no secret that the African American population in San Francisco has decreased tremendously over the last 20 years, so while the people, in many cases, have been forced to make an exodus from the city, keeping the black history and culture that made the city what it is today, is extremely important. It was very refreshing to see so many young professionals attending the MoAD Afropolitan Gala this year. MoAD's commitment to advancing the message of the need to elevate the voice of black art in San Francisco is critical to this movement - a movement as I call it. MoAD understands the value of embracing young professionals and millennials in the conversation as they will soon be, or they already are, those 'next in line' to bring the message full circle, not just in San Francisco, but nationally. MoAD's Vanguard Leadership Council has the charge of outreach to young professionals throughout the Bay Area, many who don't know about the museum and others who have desired to find a place to share their artistic talent and other professional skills that the museum can use. The honorees of the evening were Betye Saar – Lifetime Achievement in the Arts and Fred Blackwell – Visionary Leader in Philanthropy. It would be great to see next year a young philanthropic professional honored as this would even further elevate the reach to a group of people who are open to being included and can bring money and talent to the table. Each and every time I have an opportunity to hear Melody Hobson speak, I jump at the chance. She never disappoints shares great insight on her career journey and she always gives very candid and 'real-time' thoughts on the state of America at the time of her presentation. Many have wondered how at a very young age she was tapped as the president of a multi-billion dollar investment firm when it was her first job after graduating from Princeton University in 1991. Well, let's just pause and take note that the aforementioned university is no small endeavor so I am sure that alone played a key role. Hobson joined Ariel Investments as an intern and rose to become the firm's senior vice president and director of marketing. In 2000, she ascended to become the president of Ariel, a Chicago investment firm that manages over $13 billion in assets. It is also one of the largest African American-owned money management and mutual fund companies in the United States. During her interview by Tony Prophet, Salesforce's Equality Chief, Hobson shared that as a child she always had a curious nature and had a thirst for knowledge. When landing her position at Ariel Investment, for two years she came into the office every Saturday and sort out the mail. This was not Hobson's job, but she was very interested in the mail that came in for the president at that time. Hobson would have the mail ready for him to review because he also came in on Saturdays. That consistency and tenacious attitude caught the eye of the president and one day he introduced her to colleagues as the next president of the firm. This was very much to her surprise, but she embraced it with open arms. On the question of Hobson's thoughts with regard to the racism barometer today, she encourages us not to be 'color blind' but 'color brave', and she explained those terms in her 2006 TED Talk. Being color blind is a way to ignore and avoid the hard and uncomfortable race conversation, a discussion we must have from our dinner tables to the lunchrooms in our workplaces. We have to become comfortable with being uncomfortable. Hobson also makes the statement that 'everyone is Black now', as she explains how millions of people now, not just Black people, are experiencing that racial tension and disruption that Blacks have experienced for many years. And no, the election of a Black president was not going to solve the hundreds of years of racism in America. 1. While living at home, Hobson used the bathroom toilet seat as a desk and she would run the water in the tub to drown out the noise in her house so she could study. 2. Hobson lived in a 850 sq. ft. apartment for 14 years because she did not like moving. Even though she could afford a larger place, the thought of moving was the hindrance. 3. Hobson knew as a child that she had to get a good education if she wanted to be in control. Hobson is brilliant, beautiful and bold. She makes #blackgirlmagic everyday! See coverage of other events HERE! Kevin Sylvester and Wil Baptist have been hidden gems for a while and that will definitely change overnight. From playing on tracks by super star artist Jay Z to performing at the White House for President Barak Obama's Inauguration, it goes without saying that the Violin and Viola will quickly become the most sought after instrument of choice to learn among children, youth and young adults. Why? Because these gentlemen have mastered the art of blending their trained classical music skills with their love of hip hop music to break society's stereotype, and it's only the beginning. Enjoy these clips from their performance on January 28, 2017 at Stanford University's Bing Concert Hall. It's an enjoyable ride so hold on to your seats. And go! (December 26, 2016) On Saturday, January 14, 2017, The Style Room Workshop (SRW) makes its first national tour stop at the epic center of tourism and style - San Francisco. The workshop takes place at The Archery, 470 Alabama Street, San Francisco and it will be, by far, a stylists and burgeoning stylists' playground of education of next-level fashion curation. The Style Room Workshop (SRW) is a comprehensive learning curriculum geared toward budding stylists looking to further hone their craft. The ladies leading this 'style room education movement' are two of the industry's most dynamic and sought after celebrity stylists among athletes and entertainers. They know the importance of what it means to pay-it-forward when it comes to sharing the knowledge and expertise of their craft, which will ultimately continue to lend creed and high level credit to the industry overall. Kesha McLeod founder of KMCME, INC. and Calyann Barnett, founder of WWB Lifestyle Agency know what it takes to make it in one of the most competitive industries in the world. In this workshop, students will learn firsthand the tricks and trades that are required to become a successful celebrity stylist. The multifaceted class will focus on fields such as entertainment, music videos, film and television. movies, sports, photo shoots, ad campaigns, commercials and more. Kesha and Calyann will answer all of your styling questions and enlighten you on questions you have never thought about when it comes to the styling industry.. The more knowledge the better, so the SRW will also have guest speakers and other experts in the field of fashion including agents, buyers and publicists who will give career advice, real life challenges and wins and above all how you can be a sought after stylists who is known for a nitch that you can design and own. Kesha McLeod has made a name for herself by utilizing her creative ability to bring out the unique style and elegance of each of her clients. The St. Albans, Queens native found her true calling at the age of 19, when she left her job as a telemarketer and took a position working in a showroom at H&M. After earning a degree in fashion merchandising from Katherine Gibbs School in Manhattan, her big break came when she was recruited by Grammy Award-winning recording artist Ne-Yo to work with him overseas and was tasked with choosing the wardrobe for his entire tour. Since then she has worked with numerous high-profile-clients in the entertainment and sports industries including Andre Iguodala, Serena Williams, Chris Bosh, Vernon Davis, La La Vasquez-Anthony, Young Jeezy, Veronica Webb, Serge Ibaka, Victor Cruz, Charles Godfrey, Caroline Wozniacki and more. Kesha’s work can be seen in television commercials, music videos, advertising campaigns, editorials, on the red carpets and at The Espy Awards, The Grammy awards, The Oscars and The Emmy Awards. Caylann Barnett's fervent imprint on the fashion industry is unlike anyone who has come before her. More than just a trendsetter, her creative spirit and business-minded drive has conceived visual identities for her clients, Dwayne Wade, Nicki Minaj, Rajon Rondo, Tyrese Gibson, Usain Bolt and Spike Lee have all called upon her distinctive flair. As have brands like Hublot, Puma, Hennessy, Reebok, Gatorade and T-Mobile. Barnett's fearlessartistic insight and immersive loyalty has helped mold her client's into style icons. Creating daring looks lithat have graced the pages of Vogue, GH, Sports Illustrated, Forbes and The New York Times. She is more than just a sartorial ingenuity; she's a businesswoman. From an NFL star athlete to now fashion designer, Marshawn Lynch showcased his Beast Mode collection for the first time on the runway at Fashion On The Square on November 13, 2016 in San Francisco. Marshawn Lynch, who recently retired from the NFL, is a leading example of how to take a decorated athletic career to the next level and invest in an industry, fashion, that speaks to every ethnicity, age, culture, ethnicity both nationally and internationally. During the Best Mode segment at Fashion On The Square, there were looks for men, women and even for the 'fluffy girl' as I affectionately call our 'plus size' models. When the 'fluffy girl' came down the runway, it was a standing moment for Marshawn as he was video recording the entire segment. To see him raise to his feet in excitement about seeing this model rip the runway excited the crowd beyond measure. Also, one of several crowd favorite looks was a women's black sweatshirt with the words 'BLESSED' written in all white very large print on the back. From the crowd applause it was certainly a show stopper. Many of the women's wear pieces were worn with heels which gave the overall look something very sophisticated and beyond just athletic wear. Marshawn opened his flagship store, Best Mode, in October 2015, at 811 Broadway St., in Oakland, CA. He visits the store often and on any given day or time of day you will see traffic in the store because the collection is just that outstanding. From the logo to the line, Marshawn Lynch's landing into the fashion industry has many paying close attention to his growth and from millennials to baby-boomers, they all want a piece of his collection in their wardrobe. Marshawn doesn't just talk the talk when it comes to giving back to his hometown community, but he walks it and it's seen in the charitable activities he hosts where he is giving back to at-risk children and teens throughout Oakland through his Fam 1st Foundation. It's been one of the best feelings ever to see a native of Oakland give back and do it continuously. For more information about the Beast Mode Collection visit www.beastmodeonline.com. To see photos from the fashion show visit www.fashiononthesquare.com. (October 15, 2016 - San Francisco, CA) On Sunday, November 13, 2016 at 7:00 pm at the InterContinental Hotel, 888 Howard Street in San Francisco, Fashion On The Square (FOTS) will celebrate its 11th Anniversary in style and as always showing the best in fashion. This year FOTS features couture designerMICHAEL COSTELLO and opera singer/couture fashion designer RADMILA LOLLY. Michael Costello is nationally recognized and known for his impeccable design of dresses and gowns. 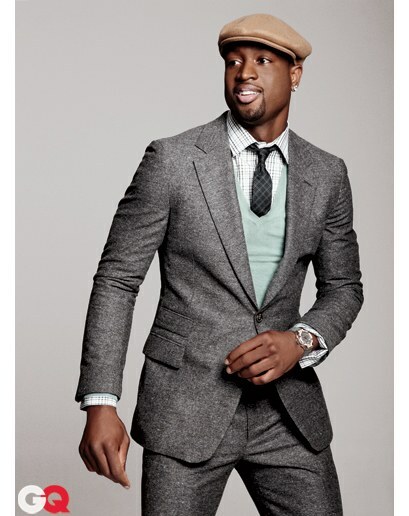 His signature look has been worn by many celebrities including Beyonce, Angela Bassett, Jennifer Lopez, Queen Latifah, Tracee Ellis Ross, Christina Aguilera and many others. Mr. Costello's recognition grew by leaps and bounds after he appeared on Project Runway several years ago and has since been a designer favorite by the stars and those who set fashion trends. Mr. Costello will be showing his most recent New York Fashion Week collection on the runway at FOTS this year on November 13th and it will be show stopper indeed. Opera singer and couture fashion designer RADMILA LOLLY, from New York, NY, will feature stellar gowns on the runway accompanied by a live performance by the designer herself. When you're ready for the Met Ball or attending an opening nite at the opera, you will definitely want to wear a gown designed by Radmila Lolly. Ms. Lolly is a classically trained soprano and who sings in Russian, German, Latin, English, Italian and Spanish. Her repertoire includes arias like “Porgi Amor” from Le nozze di Figaro, “Un bel di Vedromo” from Madame Butterfly, “Habanera” from Carmen, Tosca’s “Visse d’arte,” and “Brindisi” from La Traviata. Radmila has performed in several concerts and in venues around the world – such as Carnegie Hall, Formula -1 2014 in Abu Dhabi, London Fashion Week, New York Fashion Week, the NYC Winter Film festival and many others. Other designers showing on the runway on November 13th are Beast Mode by Marshawn Lynch, Rickie Lee, Rebecca Cahua, Dark Garden, I Do Bridal Boutique and more. FOTS is one of the largest and longest running charity fashion shows on the West Coast. FOTS+TheArts, the non-profit arm of Fashion On The Square, raises funds for students who blend fashion and art in their collections and those who advocate for STEAM, putting the 'A' in STEM (i.e. Science, Technology, Engineering, Art and Math). FOTS+The Arts was founded in 2009 when, for the first time, a performing arts segment was introduced to the FOTS runway and since that time the show has elevated beyond measure. That performance was by ballerina Caroline Rocher, who at that time was with Alonzo King LINES Ballet. A partial list of designers who have graced the FOTS runway include B Michael, Colleen Quen, Joseph Domingo, Chris March, Cindy Quach and many others. The 11th Annual Fashion On The Square takes place on Sunday, November 13, 2016 at the InterContinental Hotel, 888 Howard Street, San Francisco at 7:00 pm. For and more information visit the website at www.fashiononthesquare.com or send an email to Y'Anad Burrell, yanad@fashiononthesquare.com. Media Contact: Glass House Communications at yanad@glasshousepr.com. Black Enterprise Tech ConneXt 2016 - The Business of Tech at its Best! Now, how many people do you know own more than 3,000 comic books? I was beyond thrilled to hear this when I interviewed Samara Lynn, Tech Editor for Black Enterprise Magazine. Samara's adventure into collecting comic books started at the age of 13, while living in the suburbs of Long Island, New York. The neighborhood kids, at that time, were into comic books and Samara took a liking right along with them growing up. While she stopped collecting comic books around the age of 30, she is very clear that her favs were, at that time, The (Avengers), X-Men and Spider-Man. This year BE's Tech ConneXt Summit takes place October 10 - 11, 2016 at the Marriott Hotel, Burlingame, CA (SF airport location). Samara has had ample time to prepare for this year's summit, which is very different from last year when it was her third day on the job when she was given the assignment to travel to the West Coast to BE's first Tech ConneXt. Diving right into the splash, while it was a surprise, it was certainly not unfamiliar territory for Samara. She was able to hit the ground running and was pleased the conference went very well. This year, Samara says, "There are a few things that will be different, one of them being that Black Enterprise wants to make the conference much more 'tech engagement' focused by way of expanding the exhibition space to more interactive technology opportunities. Also, when it comes to the student engagement and their hackathon period, it will be around the clock, 24 hrs., which is far different from last year where there were stops and starts throughout the day with workshops, etc. for the students." Samara also says that there will be a stronger relationship with partners where the students will have a connection year-round in addition to what they experience onsite during their tours. The Toyota Research Institute is one major partner that will be further developed this year as will again have an opportunity to tour the facility during Tech ConneXtand Black Enterprise will build stronger bridges with Toyota to continue the student engagement for months beyond the conference. I attended Tech ConneXt last year and was very impressed with the information shared by the panelists and the student presentations were very high level and engaging. This conference is certainly the missing link that is hugely visible in the tech space in Silicon Valley, as it elevates the skills, talents and resources that people of color, particularly African Americans, have to contribute to the technology industry. Also, and more importantly, this summit shows aspiring youth, first hand, who are interested in a STEM education and future, how they can make those dreams a reality. Samara is excited about what the conference will bring this year and she is confident the outcomes will be favorable. I would tend to agree that this year will be quiet the tech conference, especially when there is a line-up of confirmed speakers that include Ryan Leslie, CEO, MZRT; Tristan Walker, CEO Founder, Walker & Company; Ime Archibong, Director of Global Partnerships, Facebook and many others. Samara Lynn has over 15 years experience in Information Technology and is the technology editor for Black Enterprise. She was a technology editor for the prestigious CRN Test Center and lead Networking and Business Analyst for PCMag.com (formerly PC Magazine). Lynn has appeared as a technology commentator on Fox Business News, National Business Report (NBR), and Reuters TV. She is the author of "Windows Server 2012: Up and Running" and received the Small Business Influencer Top 100 Champion award in 2013 under the "Journalists" category.